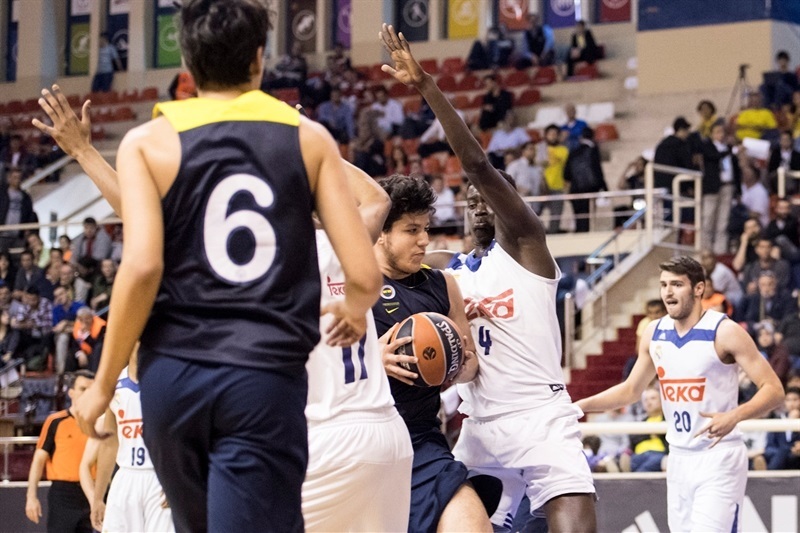 In the last game for Friday, U18 Real Madrid defeated U18 Fenerbahce Istanbul, 82-64, to get its first win in Group B. Both teams stand now at 1-1 and their Saturday results will have a direct impact on who qualifies fot thr final. Real Madrid dominated the whole game, and the mbest Fenerbahce could do was get to 9 points below in the last period. Dino Radoncic led the winners with a huge 31 points, 7 rebounds and 5 assists. He was helped by Melwin Pantzar with his 16 points. 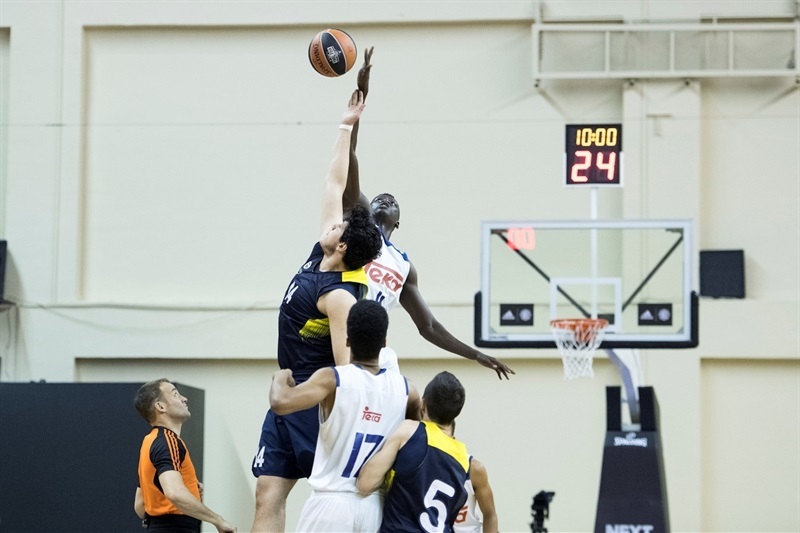 For Fener, Ahmet Can Duran led the way with 18 points plus 14 rebounds while Cengizhan Ivedi added 17 in defeat. Real Madrid started the game strong as it quickly built solid leads, 13-2 in minute 3 and then 26-11 in minute 9 with Melwin Pantzar leading the charge. The final uncontested run was 9-0 as Real Madrid put an end to the first quarter ahead by 15, 26-11. 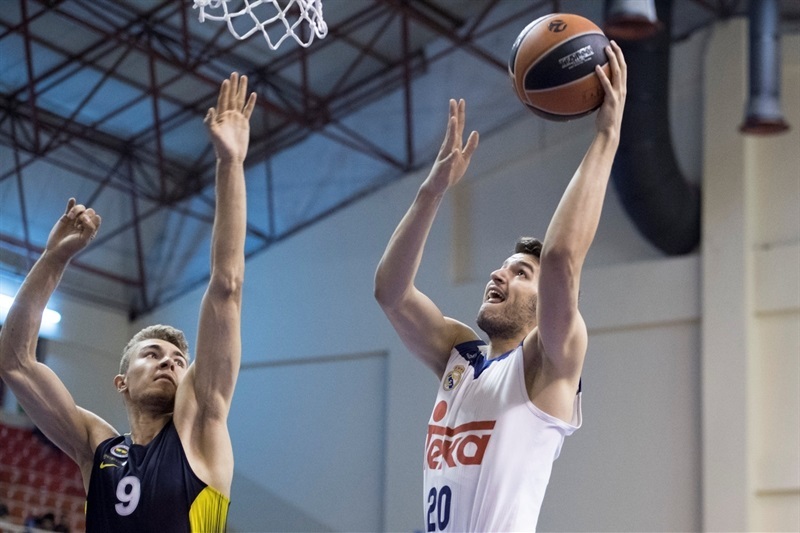 In the second quarter Fenerbahce regrouped, but Los Blancos were on fire and had much better shot selection than the hosts, who were stuck at 9 of 23 2-point shots, despite Madrid's 0 of 9 from beyond the arc. 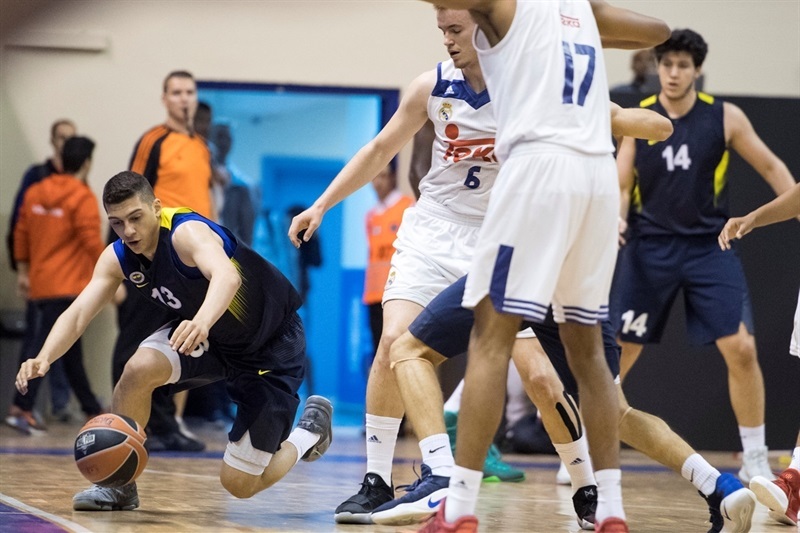 Golden Dike made it a 20-point game when he scored for 41-20 in minute 17, and despite Ahmet Can Duran and Cengizhan Ivedi's efforts for the hosts, Madrid was ahead 45-26 at the break. To start the third quarter, Fenerbahce pushed a bit harder to try to get back in the game, but Madrid held its ground. 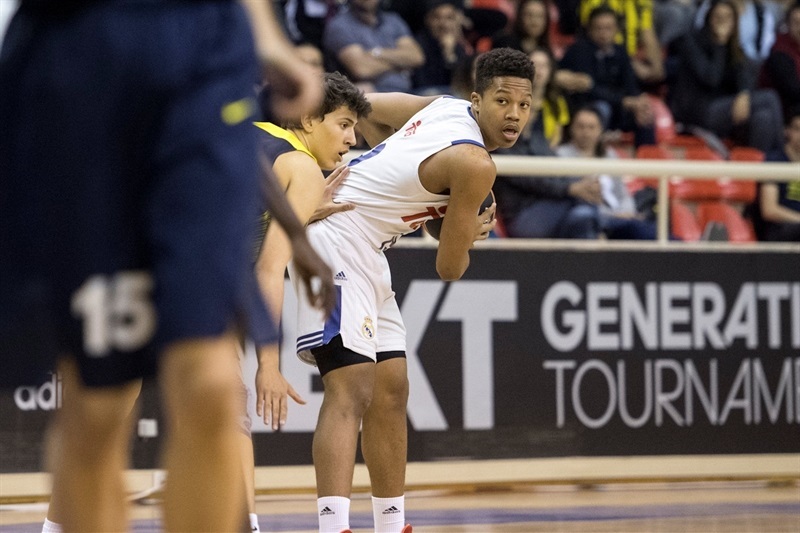 Ivedi managed to make it a 16-point game when he scored for 59-43, but in the last possession of the period, Sani Campara drove unopposed to score a layup for 61-43 after 30. The hosts gave it all to start the last period as Duran scored the jumper for 63-51 and a 2-8 run to make sure everyone knew it was not over yet. Duran kept at it and made it a 9-point game, 65-56, as Los Blancos struggled from the arc still with a 0 of 11. 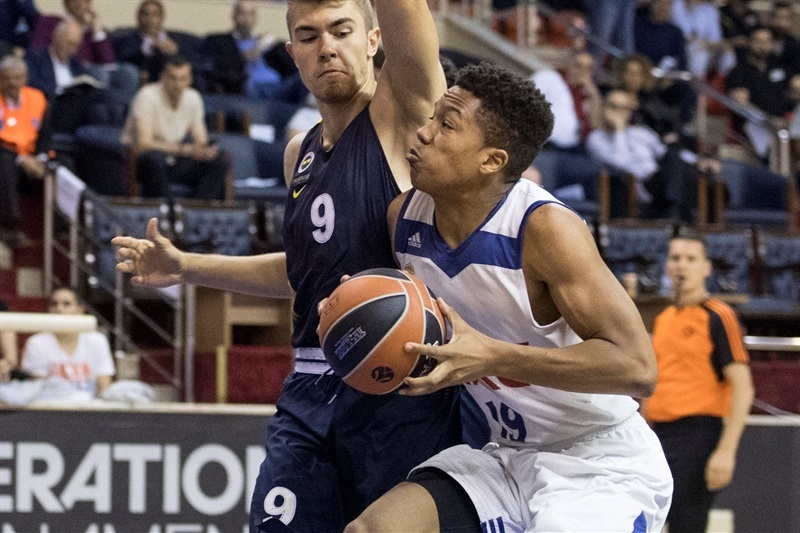 At last, Pantzar hit a three for Madrid to make it 71-56, and then Radoncic just joined the party to seal the deal for Madrid who retains options to qualify for the title game.